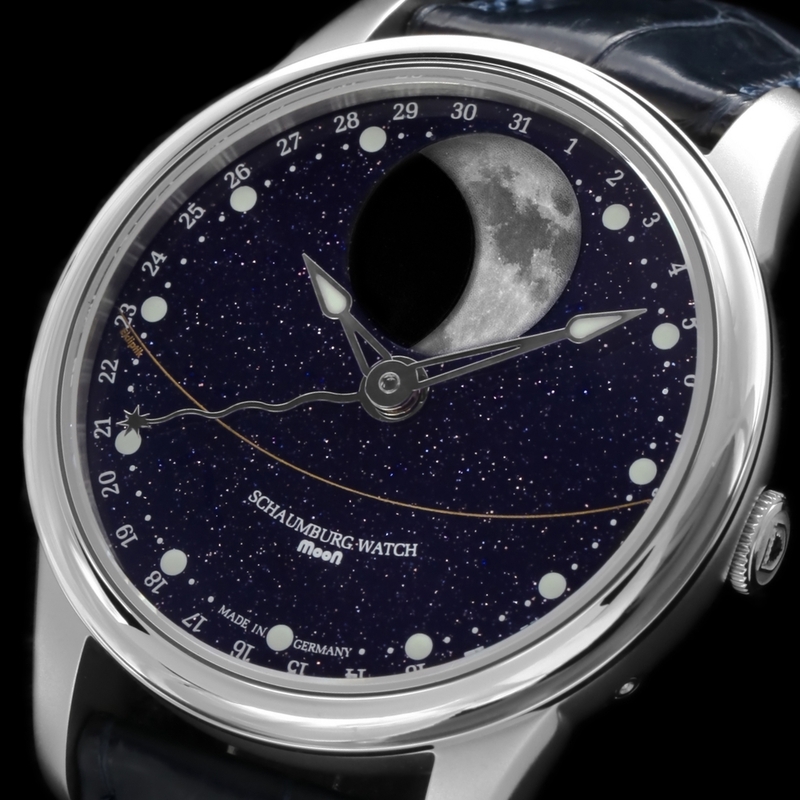 Schaumburg Watch MooN Galaxy featuring blue goldstone dial with luminescent photo-realistic moon phase, in a stainless steel case on leather strap with folding clasp. 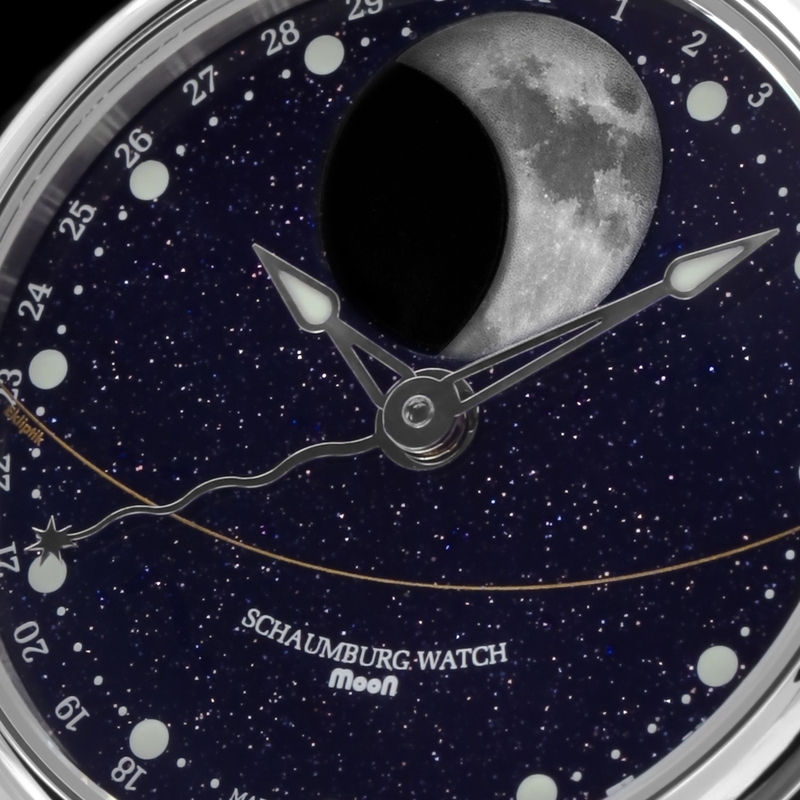 The Schaumburg Watch MooN Galaxy stainless steel mens watch features an extraordinary and very beautiful deep blue goldstone dial, perfectly complementing the stunning luminescent photo-realistic moon phase display. Chronolux Fine Watches are delighted to offer as Authorised Dealers and brand new in box, the spellbinding Schaumburg Watch MooN Galaxy mens automatic watch.